Relaxing and rejuvenating massage and holistic healing. Treatments tailored for YOU! For those who need a little relaxation and balance in their life, complimentary therapy can go a long way. Here at Southern Therapies, providers of alternative medicine and healthcare and experts in massage and holistic healing can help you relax and unwind to escape the fast pace of everyday life. Spend a couple of hours in our Salisbury city centre based therapy suite with our highly trained therapists and your troubles, aches and pains will melt away, leaving you with an unparalleled sense of calm and well-being. If your life is feeling out of balance, whether in mind, body or soul, allow us to redress that balance. We offer a wide variety of holistic treatments and massage therapies to treat not only the symptoms but address the chore of the problem, including Shakti acupressure, hot stone massage, angel guided energy healing, reiki, crystal healing, guided meditation, spiritual awareness, light therapy, heat therapy and much more. We employ superbly skilled practitioners who are fully in touch with the power of crystals and other healing channels, providing one of the most complete experiences of healing and massage in Wiltshire. Massage is an ancient art that our therapists practice to the highest level. Come to Southern Therapies in Salisbury to experience it for yourself. Southern Therapies, Salisbury, now has a four berth Far infrared sauna which is the latest design in technology. Please visit the healing page for infrared therapy to find out it's full range of benefits from Pain relief to pure relaxation, it even assists with weight loss. We also offer Polarised Light Therapy which is a very new concept to the UK but has been proven in other countries to have amazing results. Find out for yourself by booking a few treatment sessions with us. We specialise in alternative concepts of healing. These concepts include psychic energy healing. 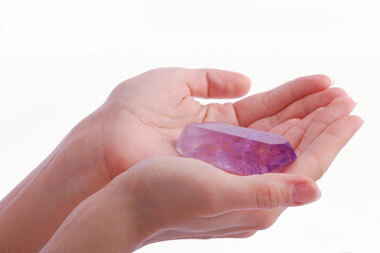 Massage using the power of crystals, Swedish massage, remedial, sports and deep tissue massage. Holistic healing, alternative medicine such as light therapy and sound therapy. We offer guided meditation and meditation workshops, emotional freedom and alternative weight loss solutions. We also offer treatments to reduce the appearance of wrinkles, fine lines and cellulite to name a few. Our therapists aim to treat bothersome ailments at a cellular level and not just temporarily fix the problem with a band aid. We offer spiritual awakening, meditation and angel reiki to rebalance at a deeper level. Our treatments allow you to fully cleanse your mind, body and soul, so whichever form of healing you prefer and works best for you come to Southern Therapies in Salisbury, where one of our expert therapists and practitioners will ease your troubles away. Massage is the manipulation of superficial and deeper layers of muscle and connective tissue using a variety of techniques, to enhance mobility, aid in the healing process, promotes relaxation, increase circulation and detoxify. It also helps alleviate pain; controls stress levels and other emotional imbalances including fatigue and depression to name a few. Massage involves working and acting on the body with pressure - structured, unstructured, stationary, or moving – tension, motion, or vibration, done manually or with mechanical aids. Target tissues may include muscles, tendons, ligaments, fascia, skin, joints, or other connective tissue, as well as lymphatic vessels, or organs of the gastrointestinal system. So whether you are a sports person looking for a deep tissue massage or busy professional looking for some stress management and relaxation or simply looking to unwind, relax and recuperate, there is a massage to suit your individual needs here at Southern Therapies. Southern Therapies of Salisbury also offer on-site / office massage and can cater for pamper party bookings. Consists of a variety of treatments of alternative healthcare that work to repair psychological, physical, emotional, social or spiritual imbalances. However, it is more than just a plaster to temporarily fix the problem, it works deeper into the chore. A Holistic Healer recognizes that our aches, pains and discomforts are merely symptoms of an imbalance at a soul level and therefore will work with the client over a period of time to find and heal the 'root' cause. It is believed that if there is an imbalance or a block at a soul level then our body will sound an alarm bell via pain, discomfort or even disease. Holistic Practitioners believe that the body has the ability to heal itself and will therefore work with the client to find alternative ways to conventional medicine of encouraging this natural healing process. The practitioner will work with the body's meridians and energy flow as-well as brainwave activity to re-align and balance any ailments that plague the patient. Therapies may consist of the following: Energy Healing / Reiki, the use of Crystals, Hypnotherapy, Meditation, Acupuncture, Herbal Remedies and Super-foods, Yoga, Massage, Aromatherapy etc;.